Deluge by Synthstrom Audible is a truly portable, all-in-one, music composition and live performance tool. With a powerful sequencer, built-in subtractive and FM synth engines and feature-rich sampler and deep connectivity, it’s everything you need. Designed and lovingly manufactured in New Zealand, Deluge has been embraced by critically acclaimed artists like Lindstrom through to being the first musical tool for beginning musicians, finding a home with a multitude of artists across the musical spectrum. Andrew Dubber, Director – Music Tech Fest. 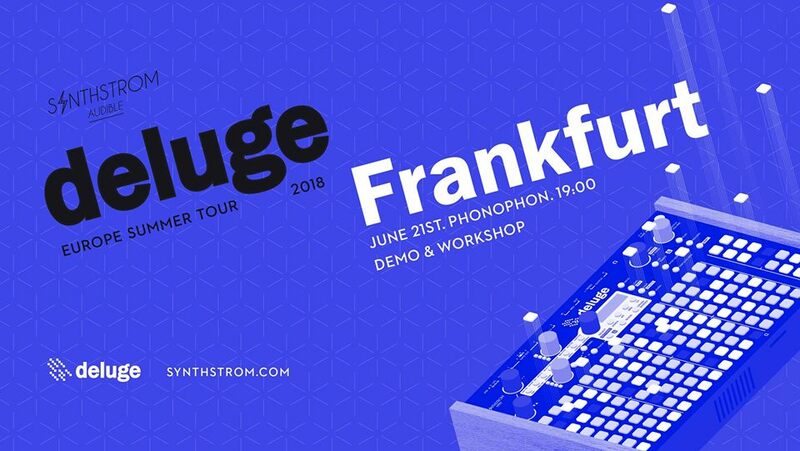 To celebrate the release of the 2.0 software upgrade for the Deluge, Synthstrom Audible are conducting a series of workshops, presentations, demos and live performances through Europe and Australia this June and July.